Grecotel Hotels & Resorts is excited to invite you to a refreshing and unexpected holiday concept which combines spectacular beachfront location with great design, personalized modern service, outstanding food and beverage selection, multiple activities and entertainment. Read all about the LUX.me ultra all-inclusive new concept of White Palace Grecotel Luxury Resort at the interview of Yiannis Zoulakis, White Palace General Manager. White Palace welcomes you to its new fantastic restaurants & bars overhanging the Cretan Sea. A true gem, Divan is a distinguished fine-dining Oriental Restaurant that offers unique, authentic eastern cuisine which brings back forgotten traditional flavours. A multi-activity camp is operating for our younger guests during high season, featuring Valencia Soccer School, Make-up courses and lots more fun activities! A new exclusive Grecotel service tailor made to assist you choose the right villa and a brand new Full Concierge service. All with Grecotel legacy in privileged hospitality. Homer in Crete. In the first year since its opening, the treasure of Rethymno - the new Eleutherna Museum & Archaeological Park, has welcomed more than 100,000 visitors at the foothills of Psiloritis. Another honor from our guests. 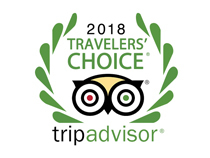 EXCELLENCE 2018 by TRIP ADVISOR.